Our long experience allows us, some specific years, to produce sweeter wines called Grains Nobles, made of selected grapes, best to combine with deserts or appetizers. 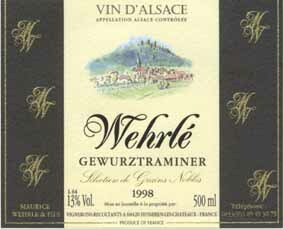 Gewurztraminer Sélection de Grains Nobles : This wine has floral nuances that are combined with fragrances of apricots, mango and spices. The mouth, in perfect symbiosis with the nose, reveals complex flavors of overmature: fig, honey, candied orange, quince. The liquor remains fine and aerial despite the richness.